The marketing world is in a guest-blogging frenzy right now. However, rushing to join in without a sound strategy, wastes a rare opportunity to improve brand awareness, increase your subscriber base and inbound links, build authority and ultimately become a niche trailblazer. Guest blogging can offer you all these benefits when you work with a thought-out approach. Let’s get to the nitty-gritty of successful guest blogging. Two or three links won’t really amount to a hill of beans in this crazy Internet world, as Humphrey Bogart might say today. If you want to be successful at guest blogging, you need to understand the real benefits. Guest blogging is all about relationship building. The friendships you build for your brand can help you stay ahead of the pack, no matter what your niche, but these relationships need to be mutually rewarding and persistently nurtured to work out. That’s why guest blogging is such a great option: yes, there is benefit for you, but it is also helping the other blogger, since you’re providing quality content and encouraging others to visit their blog. Of course, there are some SEO benefits to guest posting as well, but if you’re just in it for the links, you’re missing out. If you read other blogs in your niche, you probably know at least a few people who accept guest posts. You can use Google to research even more options. Search using the keywords “guest post” and “guest post guidelines,” preferably with other keywords that define your industry to find blogs you could guest blog at. Create a list of at least 25 potential blog post opportunities. It’s better to have one quality link than five cheap ones. Pratik Dholakiya at MOZ says that guest bloggers should avoid being associated with sites that over-publish content or that are too lenient with substandard material. For the best results, sites with a low PageRank should be avoided and I personally recommend targeting blogs with a Domain Authority (which you can check with Open Site Explorer) greater than 30. This is not a hard rule; you can make exceptions, but only if there is something about guest posting on the blog that is advantageous. Niche blogs tend to have higher engagement. Stop thinking of your niche competitors as your enemies. Guest blogging at their blogs lets you increase your exposure to an otherwise taken market segment. While some niche sites might not have as high of a PageRank or Domain Authority, if you’re reaching a very targeted audience and building relationships with others in your niche, they’re better options than larger sites covering a broad range of topics. Weigh all of the benefits before reaching out to ask about guest posting opportunities. Before you communicate with the targeted blog owners, it’s wise to interact with them through consistent social media engagement. Leave thoughtful and purposeful comments; engage with them on Facebook, Twitter, and other networks where they are active. When someone recognizes your name from an earlier interaction, they’re more likely to answer your email. Neil Patel at Quick Sprout states that successful blog owners are inundated with guest blogging requests. He personally received 931 requests and admitted to accepting none. His explanation was that they all read like SPAM. Check out this post about common phrases that can get your guest post denied or ignored. Your Content: What Should You Write? Be relevant and expand on a hot topic. Don’t recycle what others have written about a million times before. Offer new insights and different interpretations and don’t forget to add your own flavor. Write on what you know. Build your credibility and boost your status by focusing on a subject you’re knowledgeable in. Guest blogging is your chance to establish your authority and increase your impact. Study the blog’s keyword phrases. This will impress the blog owner. In you, they would be finding a keyword researcher in addition to a great writer—double the value! You can easily research keyword trends and appropriate keywords for the blog with tools such as Google Alerts, which keep you up to date with the latest trends and the hottest topics. Focus on showmanship. Make a dazzling headline out of your keyword, preferably one that’s share-worthy. A common blogging mistake is creating quality posts that have indifferent titles or introduction. Your title should entice your readers, giving them a reason to want to read further. Follow the guest post guidelines. Read the guidelines set by the blogger very carefully. If you ignore their guidelines, they will likely reject your post. Use quotes and case studies. Substantiate your arguments whenever possible with scientific studies and other authority references and statistics. Always verify your facts. Interact with your readers. Be sure to respond to questions or comments once your post goes live. If you find that your post isn’t getting much engagement, then it’s possible you are lacking in the “call to action” department. Ask the blog’s readers for their comments, perhaps phrasing a relevant question to continue the discussion. Reply to both positive and negatives comments. Offer clarification and re-assert arguments that the readers debunked. Carol Billingsley at Social Media Today, suggests that the formula for responding to negative feedback is apology+solution= happy reader. Promote your post. Work for your guest blog and it will work for you! If you want to solidify your relationship with a successful blog owner do your best to bring in traffic. You can direct your own community to read your guest post through social media. Check to see how well your guest posts performs over time. You might not examine analytics information but you can keep track of comments, likes, shares, and other useful data. Guest blogging is the ultimate adventure in building authority and driving sales. With the proliferation of blogs, article directories, commercial websites and online magazines, there is an abundance of knowledge, and yet not enough quality content. If you can produce quality content, you can earn powerful links and build authority around your brand. Guest blogging offers tangible and instantly felt benefits. With a clear guest blogging goal and a carefully planned approach, you can unlock its multifaceted potential too. What do you consider a must-follow rule when it comes to successful guest blogging? Ankit is a co-founder at AdPushup, where he is building an A/B Testing & Website Optimization app, aimed at Publishers. This tool will allow publishers to optimize and increase ad revenues through split testing. Ankit is a programmer, online marketer, webmaster & growth hacker. He loves traveling and learning new languages. This is a great point, Ankit. I see a lot of people who only look at guest blogging as a way to build links. Only seeking opportunities on broad, high authority sites is a short-sighted tactic. Building authority in your niche, reaching your target audience and building relations is what guest posting should be used for instead of using them as a means to build links. As many expert web masters suggested, guest blogging is for quality, NOT for quantity. Due to toughest competition, in order to outrank competitors, people use unethical ways to build links, instead providing information to readers. You’ve explain well about what to do and what not in guest blogging. Wow, I just love these tips!!! Hopefully they will help me when promoting my site!! Firstly Thanx for sharing Guest blogging tips with us Ankit. These are some of the basic but essential tips for Guest blogging that every guest blogger should keep in there mind while blogging. 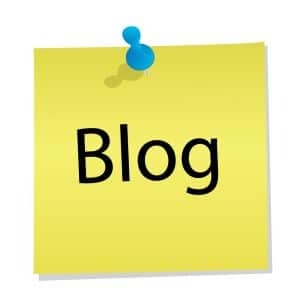 Quality content and Good contributor blog are the key for success in guest blogging.